SAN FRANCISCO, Calif. — A young woman who was reportedly slain in San Francisco last Wednesday in a random shooting, has Greenville, Ohio, ties. The 32-year-old Steinle was struck in the chest with a bullet while visiting Pier 14 on the Embarcadero with her father and a family friend at 6:30 p.m. The gunshot pierced her aorta, it was reported, and the victim’s father, tried to give her CPR as she lay wounded on the ground, where she fell when shot. She was subsequently rushed to San Francisco General Hospital but doctors were unable to save her. She died in her parents’ arms a few hours later. According to the San Francisco Chronicle, Steinle’s heart had stopped two times, and was restarted, in the ambulance. Steinle is an Amador Valley High School graduate. Her shooter, 45-year-old Francisco Sanchez, fled as witnesses snapped pictures, police said. The suspect was identified as being on probation from Texas due to previous, undisclosed crimes. He was arrested after tips from passers-by. Officials said that the killing appeared to be random. Police believe they have recovered the murder weapon from the waters of the San Francisco Bay near the pier, where the suspect allegedly tossed it. One account said the suspect had been mistakenly released from jail. The man, who is an undocumented immigrant, was jailed four months ago for illegally selling marijuana and should have been sent to federal immigration officials instead of being set free, a Department of Homeland Security official told NBC. Officers detained Sanchez at the corner of The Embarcadero and Townsend Street at 7:15 p.m., after several witnesses identified him as the shooter, it was announced at a news conference. Sanchez was not carrying a gun when taken into custody, police said. Divers from San Francisco police’s marine unit searched the waters near the pier Thursday “to search for evidence that may be related to the crime,” but declined to say if investigators were looking for the gun that killed Steinle. Sanchez was booked at San Francisco County Jail this week on suspicion of homicide. He was on active probation for an unspecified conviction in Texas, according to San Francisco police. Sanchez, it was stated, has seven felony convictions and has been deported five times, most recently in 2009, U.S. Immigration and Customs Enforcement officials said Friday. Four of those convictions involved narcotics charges. ICE had reportedly turned Sanchez over to San Francisco police in March on an outstanding drug warrant. Immigration officials issued a detainer at that time, requesting notification prior to his release so arrangements could be made to take custody. There is no known connection between the victim and the suspect, and they exchanged no words before the shooting, police said. Investigators have not yet found a motive. 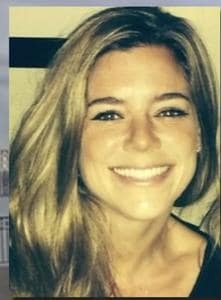 Steinle, a San Francisco resident, worked as a sales representative for Medtronic, Inc., a Mountain View-based medical technology company. She is survived by her parents and her brother, Brad Steinle, all of whom live in Pleasanton. Sullivan described her daughter as a “sweet, beautiful, independent, strong-willed woman” who enjoyed traveling and doing charity work, including hosting a fundraising dinner for patients with multiple sclerosis. Police said the Steinle family expressed to bystanders who helped give CPR at the scene and stepped forward to describe the suspect to investigators. According to local residents, Steinle’s mother lived in the 300 block of Water Street in Greenville and attended St. Mary’s Catholic School then graduated from Greenville High School in 1964, and her father attended North School and was a 1965 Greenville High School graduate.